The ideas 91-year-old Nobel Prize-winning economist Harry Markowitz espoused 67 years ago are unlikely to be retired any time soon. The term “modern portfolio theory” may seem like an oxymoron when you consider its been around long enough to retire and the ideas underpinning it seem more like common sense than high finance. But as many economist and investment advisors know – or should know – there is a lot more to MPT than folk wisdom. MPT traces its origins to an article published by the Journal of Finance in 1952 titled “Portfolio Selection” and written by Harry Markowitz; then a 24-year-old graduate student at the University of Chicago. In the article, Markowitz argued that to assess portfolio risk, one could not look at each individual stock, bond or other asset in isolation, but had to evaluate the entire portfolio’s level of risk. Only in this way could an investor begin to assess what portfolio would deliver the lowest risk for the rate of return they were seeking. The theory operates under the assumption that investors want to take the least amount of risk possible to get a certain level of return. And that they only want to take more risk if a higher return is all but guaranteed. More common sense, right? Perhaps, but Markowitz went on to outline how investment portfolios are vulnerable to two types of risk; systematic and unsystematic. Systemic risk refers to risks beyond the control of any organization, such as interest rates, recession, war and other events that can cause prices swings across entire classes of assets, such as all stocks, or even multiple classes of assets. The latter occurred most recently during the Great Recession, when prices of stocks across multiple industries as well as real estate and some commodities and other assets fell precipitously in response to concerns over the solvency of major U.S. banks. Unsystematic risk refers to the risks presented by a particular stock, bond, piece of property or other asset, and is much easier to hedge via diversification. These risks, which can be controlled by an organization, range from product recalls, regulatory sanctions and bad investments to rising competition, changes in leadership, expiration of patents, malfeasance and even fraud. From a portfolio management perspective, diversification is achieved by essentially offsetting the systemic risks posed by one investment with the risks posed by another. Markowitz’s other big contribution was recognizing the difference between correlated and uncorrelated risks. The less alike, or correlated, each investment in a portfolio is, he reasoned, the less risky the overall portfolio. Bonds and stocks, for instance, typically move in opposite directions in response to interest rates, meaning that they generally present an uncorrelated risk. There are also classes of stocks that tend to move in opposite directions in response to interest rates or economic cycles. If you think interest rates will rise significantly, for instance, you might want to back away from stocks in companies that rely heavily on financing to sell their products, such as homebuilders, automobiles, heavy construction equipment and other capital equipment. 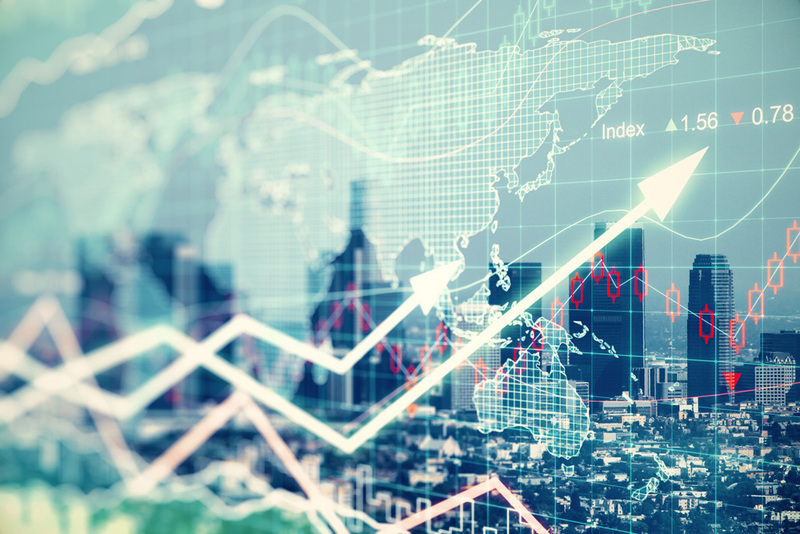 If you think economic growth is going to slow, you might shift your portfolio toward utilities and consumer packaged goods stocks where demand is less flexible. Conversely, owning two funds that are correlated funds that are highly correlated can be just as risky as owning just one of them. Say you invest in an exchange traded fund designed to mimic the S&P 500, as well as one based on the Dow Jones Industrial Average. Because they are correlated, owning both would not offer as much diversity to your portfolio as, say, investing in an S&P 500-based ETF and one based on a basket of international stocks. In today’s closely linked global market, even those two ETFs might dip and spike in unison. Buying stocks or funds that aren’t correlated, however, does diversify your portfolio. An example of two investments that aren’t correlated would be the Nuveen Barclay’s Capital Municipal Bond ETF and the SPY ETF, notes this article from as U.S. News and World Report. Markowitz expressed this a curve on a graph in which the standard deviation of a portfolios annual returns is represented on the x-axis and the expected return is shown on the y-axis. A portfolio with an expected rate of return of 8.5 percent and a standard deviation of 8 percent is deemed more efficient than one offering the same rate of return but a standard deviation of 9.5 percent. The efficient frontier can be reached if an investor is able to diversify and thus reduce risk, while increasing the potential for return. How does MPT fit into risk strategy for long-term investments? Risk-vigilant investors are less vulnerable to big swings in assets prices because the assets in their portfolios are chosen specifically to offset each other. While MPT is particularly well-suited to retirement accounts, it is not a set-it-and-forget-it-strategy. Risk vigilance requires portfolio managers regularly monitor individual components within every portfolio to ensure they are providing the optimal mix of risk and reward for the role they play. An attentive manager might, for instance, decide to swap out one high-growth fund for another after deciding a change in fund management presented too much unsystematic risk. Still, MPT is based on a long-term view of investing that – like the portfolios it seeks to create – has stood the test of time. It’s no wonder that Markowitz ended up with a Nobel Prize in economics in 1990 for developing modern portfolio theory. More than a quarter century later, it’s still holding up. At Wentworth Management Service LLC, risk vigilance is as important to how we manage compliance for our 1,320 financial advisors as it is to how they manage their clients’ investment portfolios. To learn about other advantages we offer our partners, contact us today.